Shop for different media depending on your style of growing. We carry hundreds of sale-priced media for your growing needs! 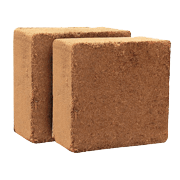 Buy the best media from top brands in soil, soilless, hydroton, coco coir, clay pebbles, peat moss, perlite, vermiculite, worm castings, compost, and more. Companies such as Botanicare, Black Gold, Sunshine Mix, Oasis, Grodan, ReadyGro, Roots Organics, Royal Gold, BioBizz, and more! Whether your grow media is soil or some other hydroponic media from coco based to worm castings, we carry it all. Soil is by far the most popular grow media around the world and we carry many options that are much more than just some dirt. From seed starter to lava seeds we have soilless media mixes in every form. Coconut coir is another soil-less growing media made from the broken husk of coconuts. Coco Coir based media is becoming more popular not just as a soil amendment, but as a growing media it has some significant advantages. 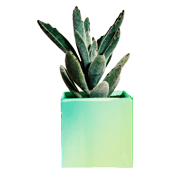 Mainly its ability to absorb up to 10x its weight in water, making sure your roots have plenty of moisture available while also providing space for oxygen to reach your plant's roots. Coco based media can also be reused more than once, and most garden pests will avoid settling in coco coir. 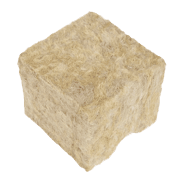 Hydroton is a soil-less hydroponic growing media composed of expanded clay pebbles. 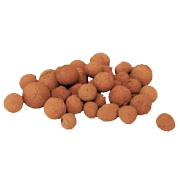 The clay pebbles can be used in both hydroponic and aquaponic systems and are one of the most popular growing media chosen by hydroponic and aquaponic growers. It's sterile, lightweight, easy to harvest, and transplant, so it can be used in almost any hydroponic system. 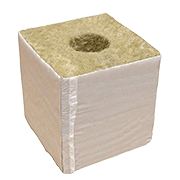 Rockwool (Stone wool) is an excellent substrate, providing a buffering reservoir of nutrient solution in the root zone while maintaining oxygen in contact with the roots, thus promoting healthy root growth. 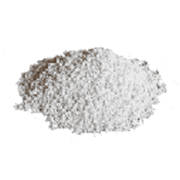 Perlite, Vermiculite, rock, and expanded rock are great media for soil and soil-less applications. Whether you need good drainage, water retention, or just something for roots to grow in. 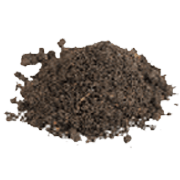 Worm castings or Vermicompost are the richest natural fertilizer known to humans and stimulate plant growth more than any other natural product on the market. Soil Amendments give your plants the nutrition they crave. 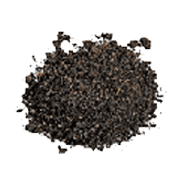 Use compost, nutrients, conditioners or other organic or in-organic additives to improve your soil's quality.